Who Presents Vendors with the most Lucrative Opportunity: Customers or Channel Partners? For vendors to recognize whether or not their channel partner is a customer or partner is imperative. Not just for designing incentives or providing training, but also for go-to-market strategy and communication. 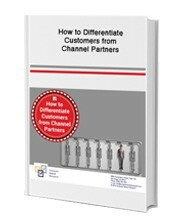 If you’re not sure how to identify these two corporate groups, download this informative whitepaper on “How to Differentiate Customers from Channel Partners” by filling out the form.